Westlake Crossfit : Success Stories : Member Spotlight: Kathy D.
What brought you to WLCF? Did you have specific goals or something you were seeking to change? 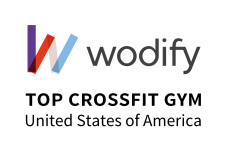 I had been intrigued but intimidated by crossfit for a while, it seemed like something other people did, not me. I had been training with Shaneen for about the past 10 years at Lost Creek Country Club and loved it. She is tough, motivating, and a great trainer and friend. When she left to be at WLCF full time, it was a no brainer to switch over and see if I could fit in. The trainers, the diverse and challenging workouts, and the community of amazing and extremely supportive members. And Its fun! What changes have you seen in yourself (physically, mentally, as a person, etc)? I’ve definitely seen different muscles develop through the use of different equipment and types of work outs. Mentally I am more confident in attempting new movements and challenging myself to try new things instead of thinking I can’t do it. What’s been the biggest challenge that you’ve faced? How did you overcome it (or how are you working on it)? What’s one thing you’ve learned through your time at WLCF? This could be about health and fitness, about yourself, or about how to approach life in general. Stay mobile and work hard but take time to take care of yourself mentally and physically so that you can remain healthy and whole. I like to stay moving throughout the day, especially getting outside on hikes with my family and dog on the greenbelt or running on Town Lake. The training at the gym has kept me constantly striving to stay active and strong. What goals (big or small) are you working towards now? Have the types of goals you set for yourself changed since you started crossfit? My main goal has been really simple: to keep showing up every day and working hard. If I had to pick more specific goals they would be to improve on pull-ups and snatches and get more than one double-under in a row. What’s your favorite time of day to be in the gym and why? I love the early morning workouts. Its a great way to start the day plus the sunrises are so good! What physical activity, sport or adventure have you always wanted to try? Why? I’ve always wanted to go rock climbing! The strength and technical skills involved are very appealing. If you could go back and give yourself one piece of advice before you started crossfit, what would it be? Don’t be intimidated. Just get out there and do it.